Intermountain Mortgage Company, Inc. provides mortgage lending solutions to home owners, home buyers, and home builders in the Wasatch front and back. Built on the cornerstone of meeting the unique demands of a resort town, Intermountain has differentiated itself for over 20 years by providing competitive rates combined with excellent service and product depth. As the resort community has changed to keep pace with economic and population growth, Intermountain has continuously worked to offer a broad variety of loan options, including raw land, condos, super-jumbo purchases, and refinances. 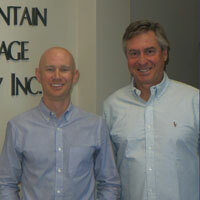 The Karz - Poor Resort Lending Group is a lending team formed by Rob Karz, a founder and Principal Loan Officer, and Ian Poor, Loan Officer, to ensure Intermountain continues to meet the needs of the community and to provide lending services that focus on excellent service and excellent products. The Resort Lending Group believes in providing service and quality to the highest degree, and works to be an active player in moving Park City and our clients forward, in the office and in the community.